The immensely popular Surveyor SRV-1 has just received some major upgrades! The tracked base remains unchanged, but the electronics have gotten a complete overhaul. 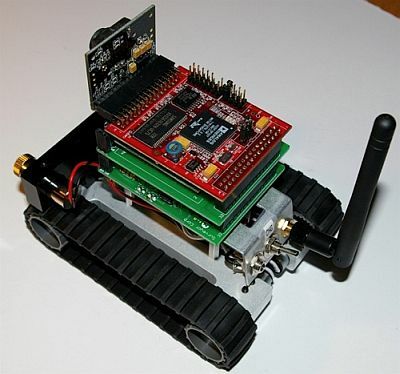 Wi-Fi has replaced the slow and sometimes unreliable ZigBee wireless link, the camera can now grab video at a maximum resolution of 1280 x 1024, an Analog Devices Blackfin processor has replaced the comparatively puny ARM7 processor, and they've even added laser pointers for distance sensing. 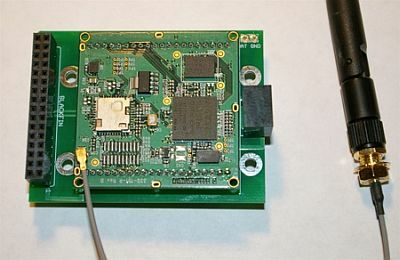 The SRV-1 now benefits from the extended range and faster data rates of Wi-Fi. All you need is an 802.11 b/g wireless LAN card and you're ready to start spying on the neighbors. 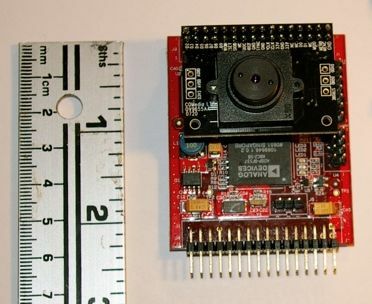 Speaking of spying on your neighbors, this 1.3 Megapixel camera is roughly on par with most cell phone cameras, with a maximum resolution of 1280 x 1024. 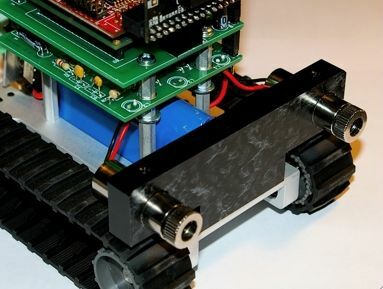 Unlike your cell phone camera, this one’s going to be riding on tank treads. Fact: lasers make anything cooler. The new SRV-1 uses two parallel lasers as a low-cost range-finding system. Try not to blind your friends/family members/pets. This entry was posted on Tuesday, December 4th, 2007 at 12:03 pm	and is filed under Announcements, Front Page News, New Kits / Products, Product Spotlight. You can follow any responses to this entry through the RSS 2.0 feed. You can leave a response, or trackback from your own site.